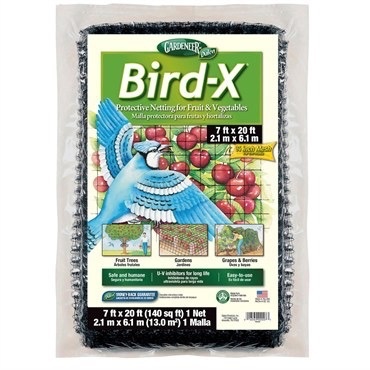 Protects fruit trees, berry bushes and vegetables from thieving birds, squirrels, rabbits and other garden pests. 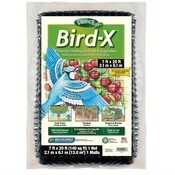 Durable 5/8 in polypropylene mesh bird netting with UV inhibitors. 1 piece of 7 ft tall x 20 ft long netting.